This test detects the deletion in the DNAPK gene. → Fatal infections due to a deficient immune response. 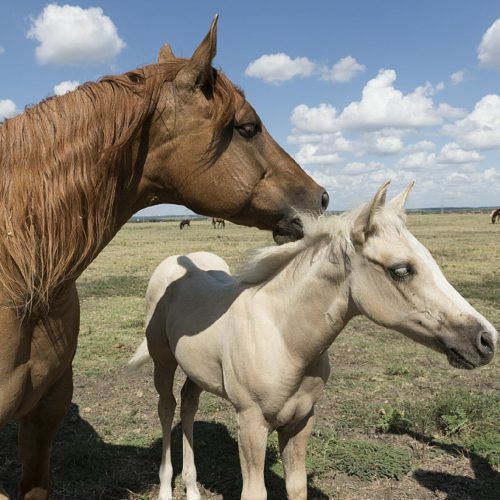 Foals appear healthy at birth, but usually die of infection within the first 6 months. Improper development of cells of the immune system (T- and B cells) causes severe, non-specific infections → usually fatal. 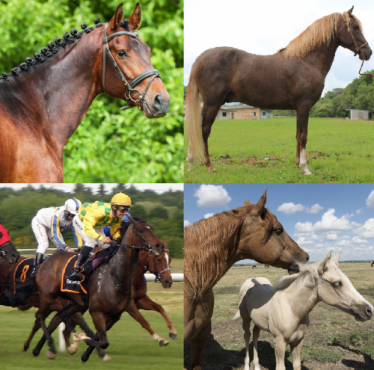 → SCID is an autosomal recessive hereditary disease, meaning that horses with only one copy of the genetic variant (N/scid) are clinically normal carriers while horses with two copies of the genetic variant (scid/scid) are affected. N/N normal. 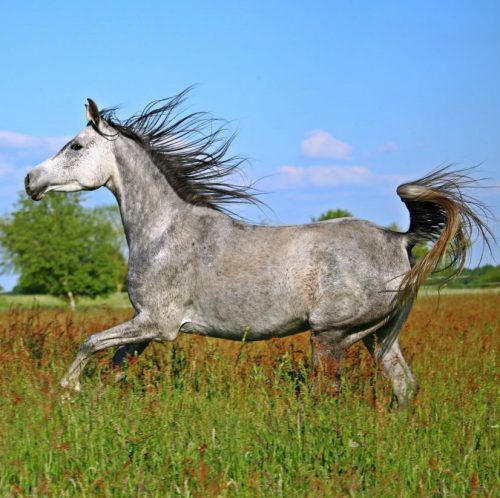 The horse does not have any copies of the genetic variant causative for SCID and therefore cannot pass it on to any offspring. The horse is clinically normal. The genetic variant causative for SCID will be passed on to its offspring with a probability of 50%. These foals will also be carriers (N/scid). scid/scid affected. 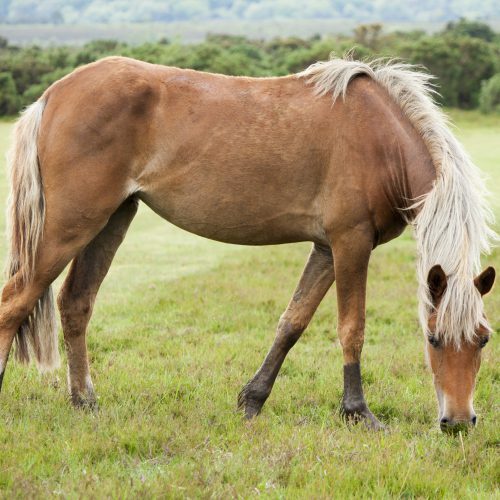 If the horse lives long enough to reproduce, the variant will be passed on to all offspring. All offspring will be carriers (N/scid). Carriers may be bred to normal animals (N/scid x N/N) without any risk of producing affected offspring. The offspring should also be tested before breeding to determine if they are carriers or normal. Breeding two carriers (N/scid x N/scid) is not recommended due to the possibility of 25% of the offspring being affected. Affected animals (scid/scid) should not be used for breeding. 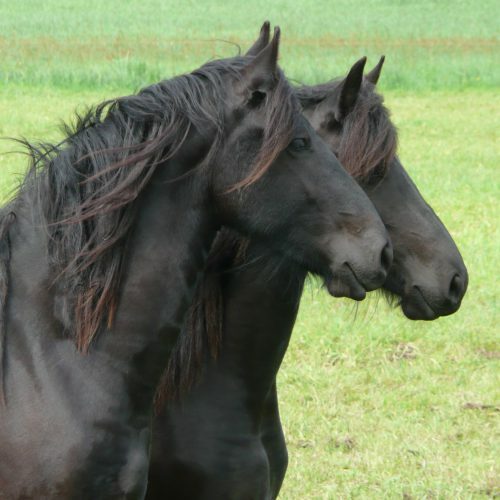 Shin, E.K., Perryman, L.E., Meek, K.: A kinase-negative mutation of DNA-PK(CS) in equine SCID results in defective coding and signal joint formation. J Immunol 158:3565-9, 1997. Pubmed reference: 9103416.